Happy Week 1 of Lent! This is a progress-report type post on our first week of Lent with Kids. Here is the quick guide to all the Lent posts, and here’s where to start if you’re interested in how we’re celebrating Lent with candles, readings, prayers and art. How acute. Learning is about changing behaviour. A disciplined person is someone who can do the right thing at the right time in the right way with the right spirit. 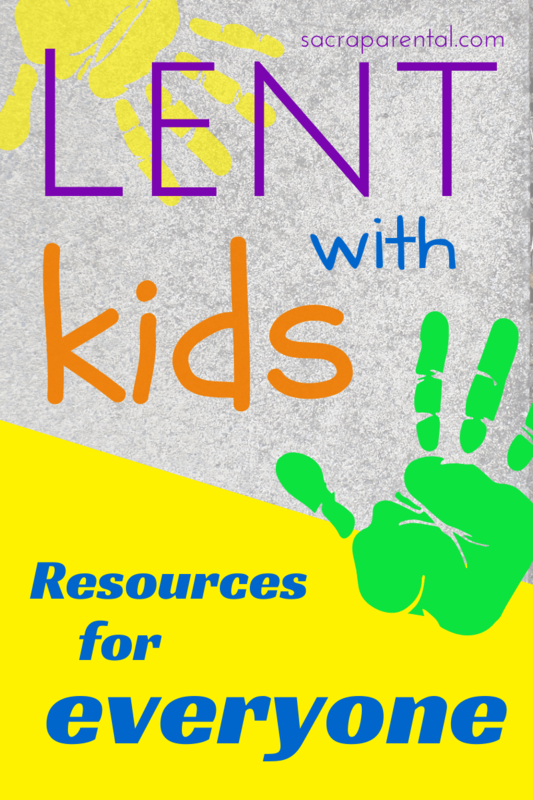 How’s Week 1 of Lent with Kids going for you and/or your household? 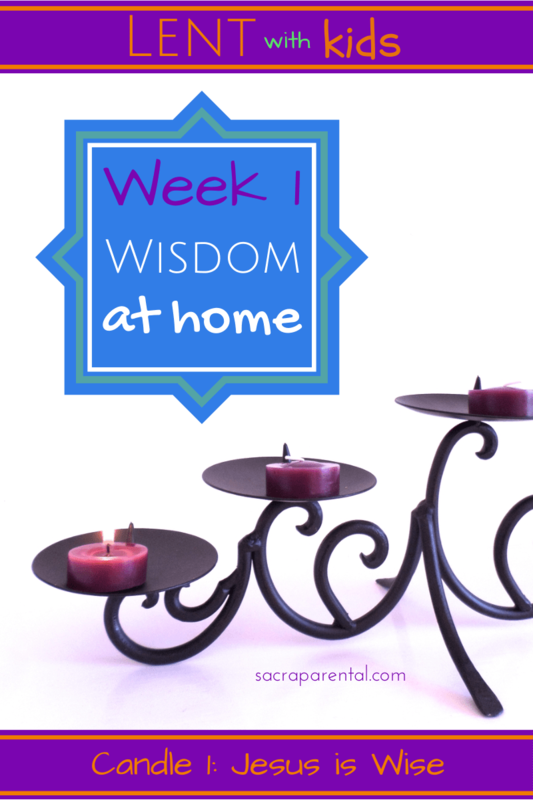 After a slow start – it took a while for two-year-old SBJ to stop wanting the Lent candles to be Advent ones – we’re picking up speed in our house, especially with incorporating wisdom talk into daily conversation. It’s a mixed bag, of course. SBJ followed up a Mighty Success in practising wisdom yesterday (which I’ll brag more about later) with, two minutes later, deliberately sweeping papers off a table and then pouring his water on an armchair. This morning I was in the middle of the encouraging, reinforcing sentence, ‘It’s great that you’re asking Jesus to help you be wise!’ when he climbed over my neck, accidentally kneeing me in the face and kicking my computer off the bed. Perhaps that was a (very wise) message about keeping technology out of sleeping spaces. But here’s a portion of our conversation from yesterday’s Mighty Success, which he built on again this morning (shortly before melting down at the suggestion that underpants normally go, you know, under trousers). If you don’t want to hear about toilet-learning, skip this bit entirely. SBJ: [Half naked, bringing a pair of underpants to me] Want to wear underpants! Me: Ok, sure. Do you know what might be a good idea? Maybe you could have a wee now before we put the underpants on. Me: Hm. Do you know why I think it would be a good idea? Me: When you put your underpants on, you have to take them off again when you need to have a wee, and that can take some time. So if you have a wee first, then that won’t be such a hassle. SBJ: No SBJ have a wee. Me: I think it would be a wise thing to do. It seems wise to me. Me: You know how we’ve been talking about being wise? Do you remember what ‘wise’ means? SBJ: Know-y what to do. Me: You’re not feeling very wise at the moment? Me: Fair enough. If you want to, you could ask Jesus to help you be wise. Me: But it’s ok. We can try being wise again later. It can be hard. Pause. I head back to what I was doing. SBJ follows me. Me: You want to ask Jesus to help you be wise? SBJ: Please Jesus, help SBJ [mumble, mumble] wise choices! Me: It’s good to get Jesus’ help, isn’t it. Are you feeling a bit more wise now? Me: Good stuff! Shall we go and have a wee? I’m trying to be really careful about this, and not make our practical experiments with developing wisdom turn into me manipulating SBJ by saying ‘God says you should’. One thing that’s probably important is helping SBJ make the decision himself and letting it stand. This has to be about wisdom, not obedience, to be any use. If I’ve helped him to practise asking Jesus for wisdom, and helped him exercise it, I can’t then tell him the place he’s come to is plain wrong. So I wouldn’t go through this kind of process with an issue of safety where it’s actually my decision that will stand. It’s got to be something voluntary – like choosing to use the toilet – where I let him listen to his own body and make up his own mind. This is a whole new world for us, and I’d love to hear your stories and advice. How have you helped a little person develop wisdom and hear from God? And how is Lent going otherwise? 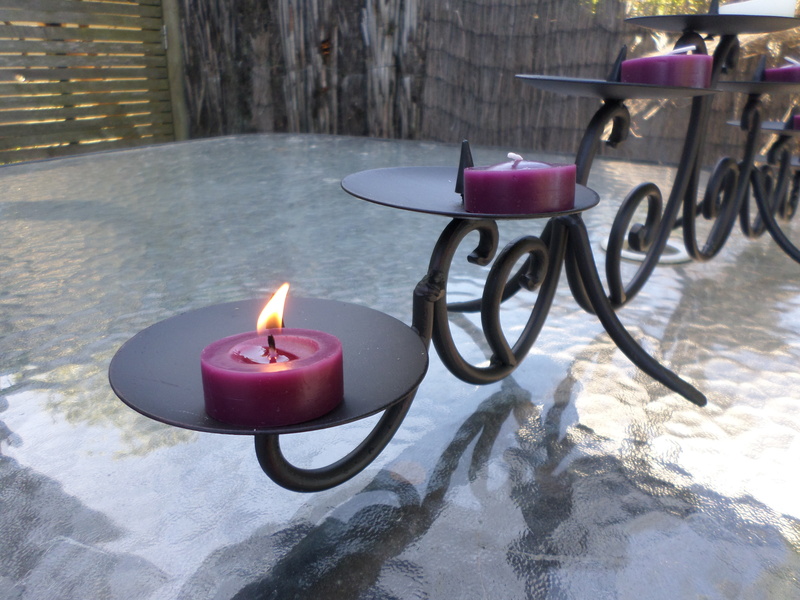 Are there any fans of candle-lighting in your house? Have you found a good version of the Bible texts for you and yours? I’m keen to hear! This Lent we are embarking together on an experimental pattern of household spirituality. Here’s where to start if you are interested in trying some of it out for yourself, and here’s the full index of Lent posts is here. For more snippets, resources, links and rants, you can also find me on Twitter, Facebook and Pinterest. And feel free to sign up at the top of the right-hand sidebar if you want to get an email whenever there’s anything new here.